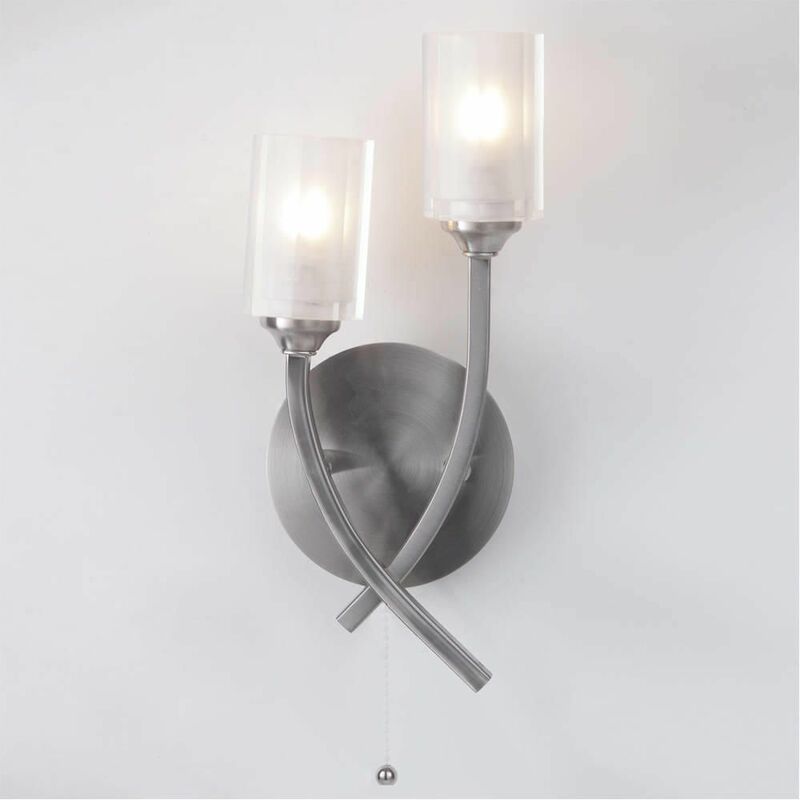 This Octi 2 Light Wall Light is exactly what you are looking for in a modern home. The Satin Chrome finish gives a fresh and clean look to the room and looks delightful as it dispenses soft pools of light around the room. 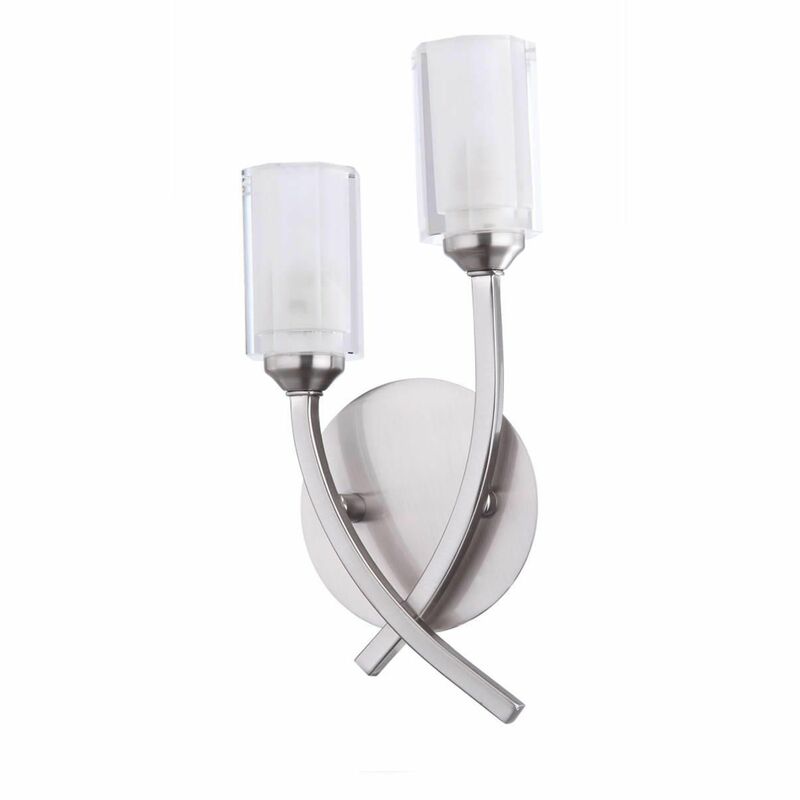 These wall lights fit perfectly into an urban contemporary household. To add the breath-taking aesthetics, the fixture also features a very handy pull cord which makes using these wall lights a dream. Having trouble with wall lights? Consult our buying guides here. Q: what type of bulb is suitable for the octi wall lights please. A: This fitting takes a 40w G9 halogen bulb. 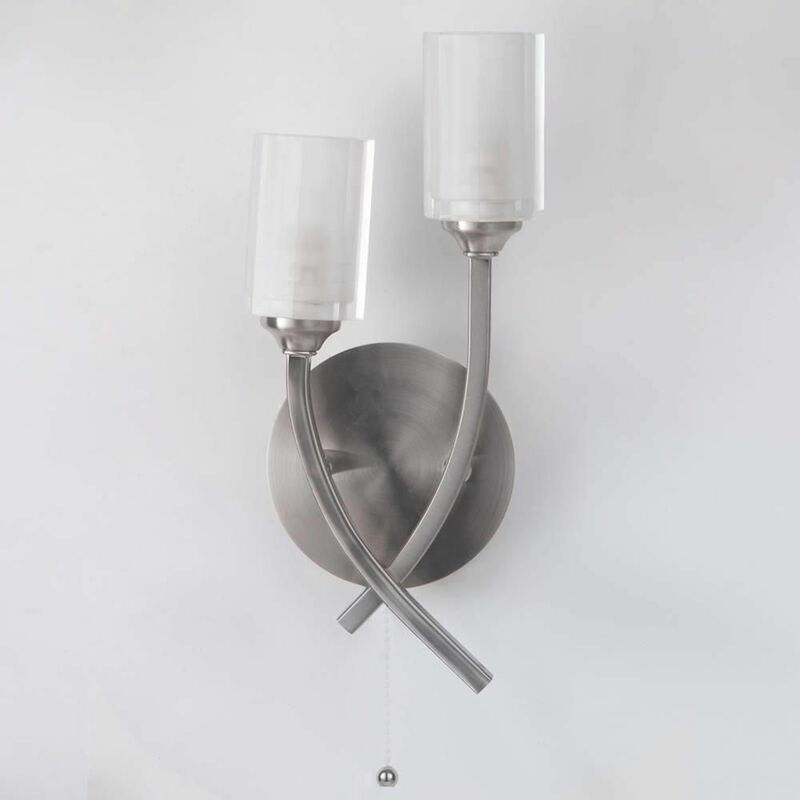 Q: Does the Octi Satin Nickel Wall light have a pull cord on/off switch like the other Octi wall lights?